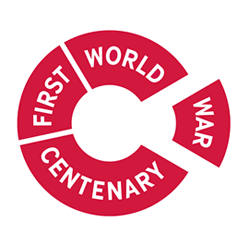 Would you like to get involved with these important First World War Commemorations on the Isle of Wight? Here are the answers to some common questions. If they don't answer your issue then please don't hesitate to get in contact using the form on the right. This project is a public project, and as such we actively welcome input from all sources. If you have any information relating to any event, person or activity of historical interest, please use the form opposite to make initial contact, and one of our researchers will be in contact with you. Why doesn't my story appear straight away? Content is not published directly to the site as it is reviewed and moderated by one or more of our researchers. As you can imagine, we have a lot of information coming from many sources, and we need to make sure that anything supplied is cross referenced wherever possible. Why has my content been changed? Content may be changed for a few reasons, but mainly it will be changed to make it clearer, or will be added to where we have existing or supporting information. Everything is useful to us, so please don’t hesitate to get in touch. Have you got any family-held memories/stories or artefacts concerning relatives and the First World War and how they affected the Isle of Wight? Can you put some time in helping run this Website? Are you able to offer time for other related projects?